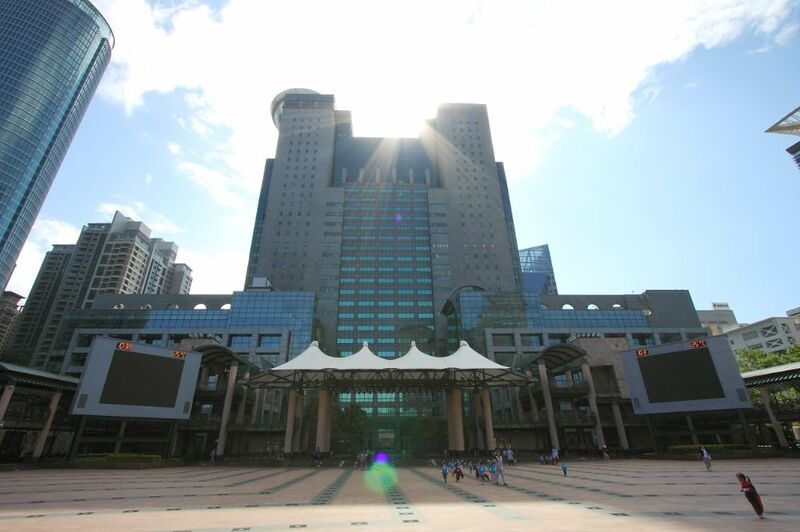 The New Taipei City Hall was opened to public on March 24th, 2003. It is 140.5 meter high with 33 stories above ground and 4 basement levels. A building equipped with state-of-the-art modern technology, the New Taipei City Hall is not only an administrative base but also a multi-purpose building designed to offer quality and efficient services. It is well served by multiple public transportation services, including the conventional train, high-speed rail ( HSR) and an MRT line. Several coach and bus services are also accessible through the underground walkways, rendering the City Hall building the transportation hub. In addition to it’s top notch work environment for the staff members, the City Hall building also houses a childcare center, restaurants, a bakery, a top floor restaurant with a review as well as an excellent observation lookout deck. Regular exhibitions are staged in the foyer located on the ground floor. The Civil Plaza with its lush greenery and regular outdoor performances provide the residents with a relaxing space to take a leisurely stroll. While visiting the City Hall, residents are also given the opportunity to admire the urban architecture met with international standards and the public arts dotted around the plaza. The City Hall building is not only the administrative center but also plays the role as a hub for emergency relief and traffic control. The Emergency Response Center and The Traffic Control Center are both located on the 9th floor of the building. With the setup of the TCC, regulating traffic flows during rush hours and easing congestion has made possible. Likewise, through GPS and SNG ( satellite news gathering ) the ERC is able to gain a comprehensive view of the situation and offer the best relief service as soon as an emergency arises and thus safeguards the lives and properties of the public.